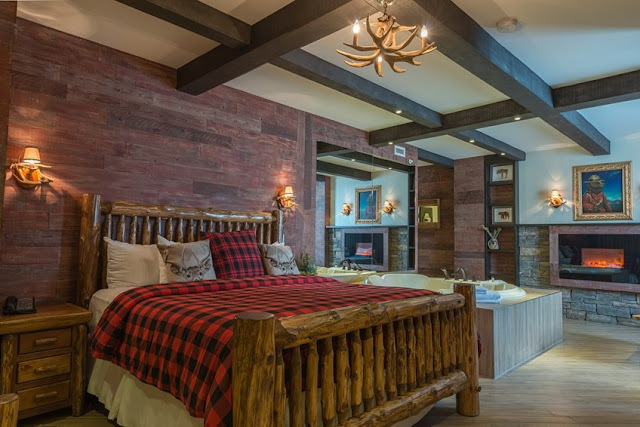 You can sleep in a hut, in a prison cell and in a truck too in this amazing hotel in Edmonton, Canada.The Fantasyland hotel is one of the most exquisite hotels in the world: which one of the room would you try out? Are you looking for extreme interior design ideas for your bedroom? I’m sure that you will find some pretty amazing tips, since Fantasyland hotel have themed rooms, where everyone can find their favorite style! In this hotel, next to the „normal rooms”, you can pick a themed luxury suit as well! In this photo, you can see the Western Luxury room, where the kids can sleep in a real life prison cell – not so bad, and this suit is also one of the cheapest themed rooms in Fantasyland! 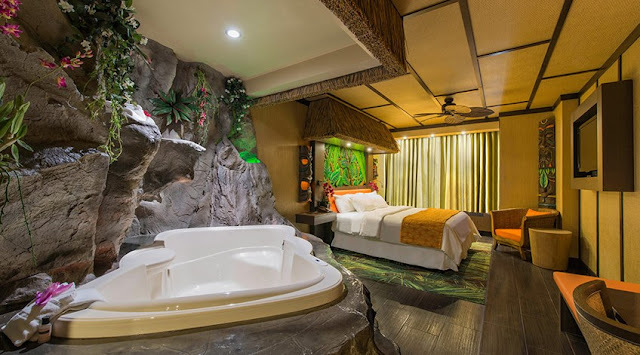 The Modern Polynesian room is a big favorite for couples, since there’s a huge Jacuzzi and artificial waterfall next to the king size bed. What’s the best, that there’s no other option to have a bath, so you also have to wash your hair directly under waterfall! That must be very interesting. 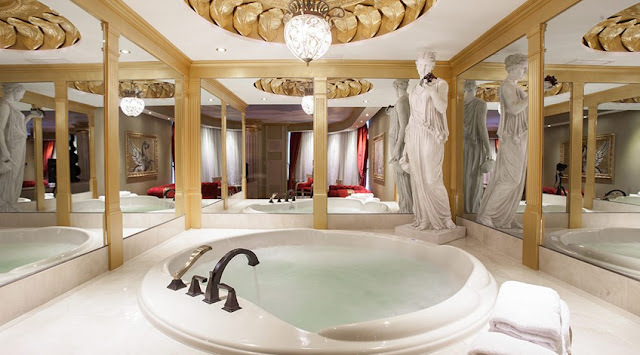 The most expensive themed suit is this Roman Luxury room with an indoor Jacuzzi. There’s no tiles in the bathroom, only mirrors can be find everywhere (even above the bed), so this type of suit is also very popular between couples. Otherwise, there are fake marble sculptures, Ionic columns, golden curtains and ceiling frescoes around the room, so it gives a perfect roman mythological feeling. 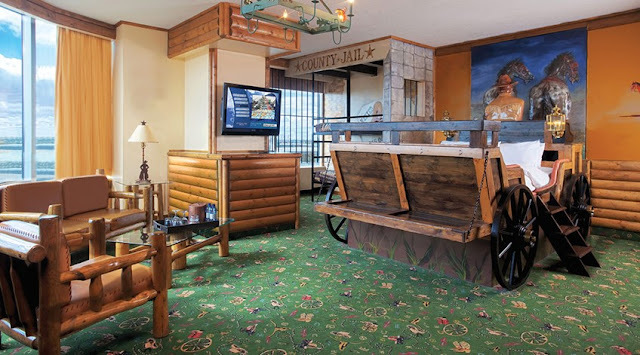 After the Greeks and the Polynesians, the Canadians could not be left out as well: the Canadian Cabin suite lures the visitors with wristbands, but let's admit - it's the most consolidated room of all themed suites. 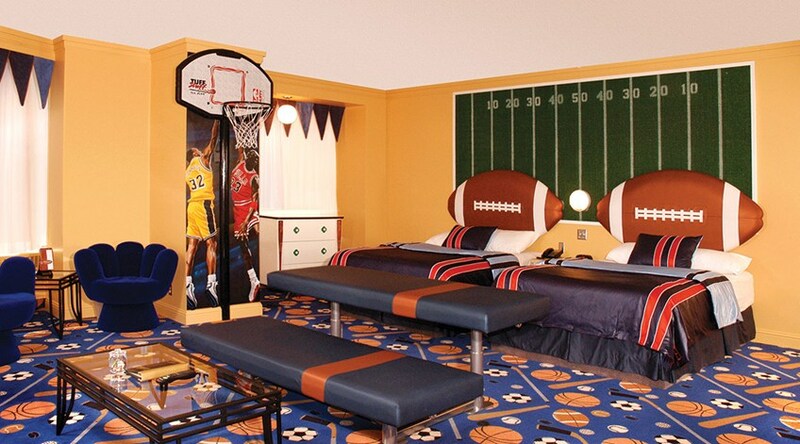 I can’t imagine how much a basketball fan child can fall in love with this bedroom! However, as I see it’s not a big deal to decorate a room like this (you just need some paint, a nice basketball basket, some space and a cool carpet), but I’m pretty sure that a stay in this suite is memorable for everyone. 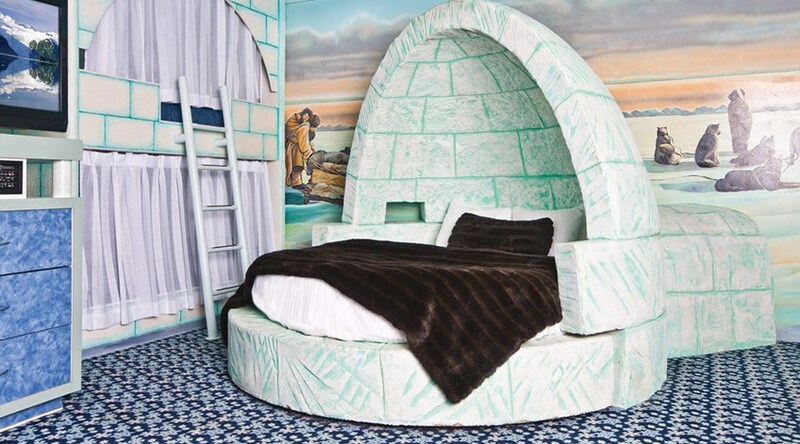 The Igloo Luxury room is one of most reserved suits, where adults can sleep in an artifical igloo and kids in a bunk bed. However you can’t see it in the photos, but there are plastic wolves and polar bears in the room as well – no doubt why the kids love it! Are you a big car fan? 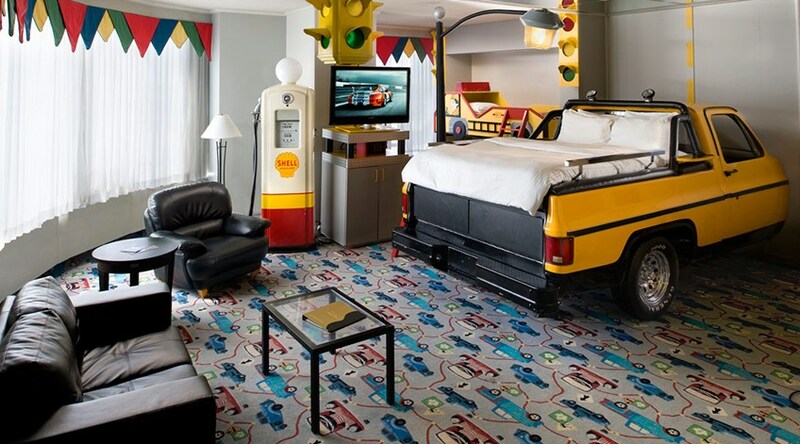 In this Truck themed room you can sleep in a big SUV, however you have to climb it up by stairs. Plus extra, there’s also a mini gas station beside the weird bed and the bathroom is equipped with a flashing traffic light. 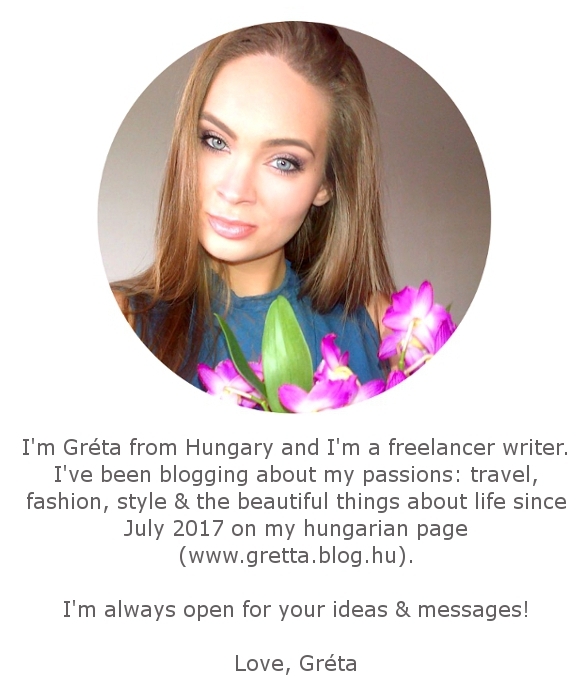 Would you like to try it out? I do agree that this hotel is really unique and my favorite is that Igloo Luxury room. Cheers! and keep posting.